Understanding Mass Spectra: A Basic Approach, Second Edition combines coverage of the principles underlying mass spectral analysis with clear guidelines on how to apply them in a laboratory setting. 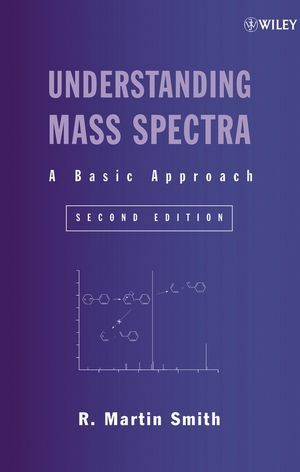 Completely revised from the first edition, an updated and unified approach to mass spectral interpretation emphasizes the application of basic principles from undergraduate organic, analytical, and physical chemistry courses. A detailed overview of theory and instrumentation, this useful guide contains step-by-step descriptions of interpretative strategies and convenient lists and tables detailing the information needed to solve unknowns. Other features include real-world case studies and examples, skill-building problems with clearly explained answers, and easy-to-follow explanations of the important mathematical derivations. R. MARTIN SMITH is a former forensic chemist and quality assurance coordinator at the Wisconsin Department of Justice Crime Laboratories in Madison, Wisconsin. He received his PhD in organic chemistry from the University of Wisconsin-Madison, and has numerous publications dealing with the application of mass spectrometry to forensic science.